Hairdresser Craig Withers does nothing by halves. For all of his hairdressing career, he has been a super-achiever, albeit a quiet one, but possessing an innate ability to inspire people from all walks of life. Currently, he is Aveda’s only Purefessional worldwide qualified in teaching both cut and colour. He travels Australia educating Aveda salons on Spring/Summer and Autumn/Winter collections as well as Advanced Colour and Cutting Master Classes. His salon, Urban Escape, is a state-of-the-art, eco-salon, winning the 2011 Aveda Green Salon Award from an international field. On completion of his multi-award winning apprenticeship in 1998, Craig ventured to the UK, working his way up the career ladder at Aveda under the tutelage of the one and only Antoinette Beenders. Craig was based within the famous Harvey Nichols department store, and in 2000 was promoted to Top Stylist and Assistant Manager of the Aveda Institute at Covent Garden. Over these years, he was involved in session styling for London Fashion Week (including the Elizabeth Arden “Red Door” Show, 2000) and other high profile events. Such was Craig’s worth to Aveda that in 2003 – 04, he freelanced in Spain and Europe, flying back to London for 10 days every six weeks to look after his full book of clients. Returning to Australia in 2005, he led Aveda’s artistic team and was head educator. He also freelanced as a salon educator, and built his hairdressing clientele over time, in readiness to open his Urban Escape salon in 2010-11. Urban Escape’s winning of the international Aveda Green Salon Design Award in 2011, earned Craig a guest speaking spot at the Aveda World Congress that year. His attention to detail, from perfecting the lighting of the salon so that colour mixes could be varied by 0.1g and noticed, to the reuse of materials forming the salon, to colour waste management and efficient hot water usage, made his salon the most innovative, sustainable, and eco-friendly, service-oriented salon for 2011. Intriguingly, these achievements have not come without the greatest struggle. Proof that Craig’s greatest passion is hairdressing, was severely tested in 1997 as he tried out for the Australian Rollerblading Team. He was still an apprentice and by this time, had won a host of awards and competitions including Box Hill TAFE’s Outstanding Apprentice of the Year Award – First, Second and Third Stage Awards. Then disaster struck. A rollerblading accident shattered his shoulder with doctors predicting that he would lose his left arm. It was thought that the nerves in his arm were dead. Fortunately, possibly even miraculously, during micro-surgery, his surgeon noticed the tiniest spark of activity in a nerve ending. This was the glimmer of hope which gave Craig the chance to retain his limb. His unceasing need to return to hairdressing was Craig’s primary, driving motivation throughout the ordeal. He worked hard at strengthening his arm throughout the remainder of his apprenticeship. Rehabilitation went on for seven years with management and maintenance a lifelong task. None of this has held his career back. Craig was awarded the HBIA’s Apprentice of the Year Award in 1998 and was a finalist for the Young Australian of the Year award. Today, Craig supports apprentices and senior stylists as a Judge for the HBIA and IHS competitions. Hairdresser Craig Withers does nothing by halves. For all of his hairdressing career, he has been a super-achiever, albeit a quiet one, but possessing an innate ability to inspire people from all walks of life. Currently, he is Aveda’s only Purefessional worldwide qualified in teaching both cut and colour. He travels Australia educating Aveda salons on Spring/Summer and Autumn/Winter collections as well as Advanced Colour and Cutting Master Classes. 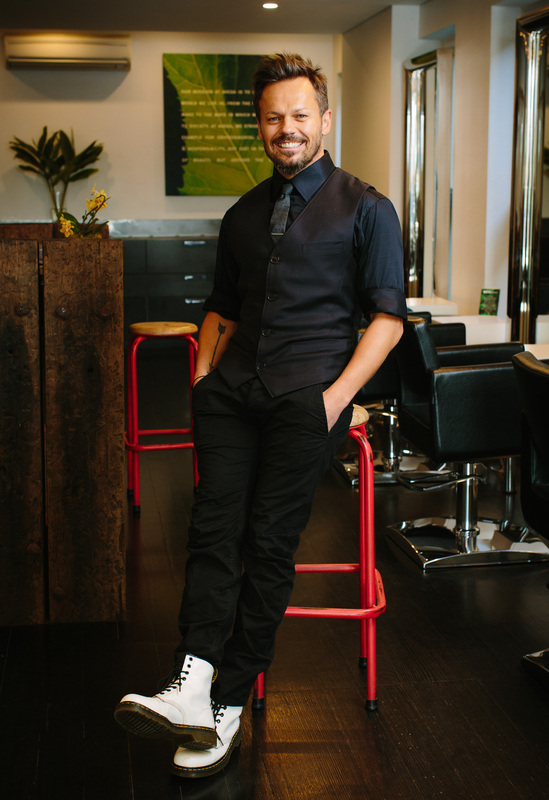 His salon, Urban Escape, is a state-of-the-art, eco-salon, winning the 2011 Aveda Green Salon Award from an international field. On completion of his multi-award winning apprenticeship in 1998, Craig ventured to the UK, working his way up the career ladder at Aveda under the tutelage of the one and only Antoinette Beenders. Craig was based within the famous Harvey Nichols department store, and in 2000 was promoted to Top Stylist and Assistant Manager of the Aveda Institute at Covent Garden. Over these years, he was involved in session styling for London Fashion Week (including the Elizabeth Arden “Red Door” Show, 2000) and other high profile events. Such was Craig’s worth to Aveda that in 2003 – 04, he freelanced in Spain and Europe, flying back to London for 10 days every six weeks to look after his full book of clients. Returning to Australia in 2005, he led Aveda’s artistic team and was head educator. He also freelanced as a salon educator, and built his hairdressing clientele over time, in readiness to open his Urban Escape salon in 2010-11. 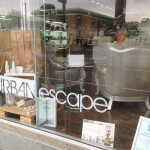 Urban Escape’s winning of the international Aveda Green Salon Design Award in 2011, earned Craig a guest speaking spot at the Aveda World Congress that year. His attention to detail, from perfecting the lighting of the salon so that colour mixes could be varied by 0.1g and noticed, to the reuse of materials forming the salon, to colour waste management and efficient hot water usage, made his salon the most innovative, sustainable, and eco-friendly, service-oriented salon for 2011. Intriguingly, these achievements have not come without the greatest struggle. Proof that Craig’s greatest passion is hairdressing, was severely tested in 1997 as he tried out for the Australian Rollerblading Team. He was still an apprentice and by this time, had won a host of awards and competitions including Box Hill TAFE’s Outstanding Apprentice of the Year Award – First, Second and Third Stage Awards. Then disaster struck. A rollerblading accident shattered his shoulder with doctors predicting that he would lose his left arm. It was thought that the nerves in his arm were dead. Fortunately, possibly even miraculously, during micro-surgery, his surgeon noticed the tiniest spark of activity in a nerve ending. This was the glimmer of hope which gave Craig the chance to retain his limb. His unceasing need to return to hairdressing was Craig’s primary, driving motivation throughout the ordeal. He worked hard at strengthening his arm throughout the remainder of his apprenticeship. Rehabilitation went on for seven years with management and maintenance a lifelong task. None of this has held his career back. Craig was awarded the HBIA’s Apprentice of the Year Award in 1998 and was a finalist for the Young Australian of the Year award. Today, Craig supports apprentices and senior stylists as a Judge for the HBIA and IHS competitions.